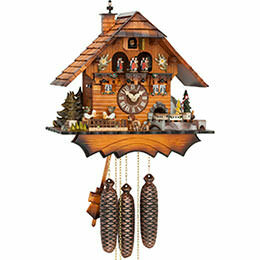 What comprises a typical person from the Black Forest becomes clear when you take a look at the company history of Hubert Herr cuckoo clock factory: Busy tinkerers who like to find solutions themselves, and are only satisfied when they are able to provide the best work possible. 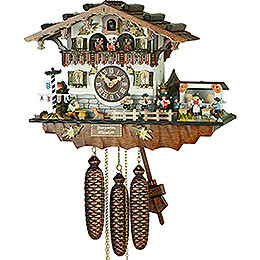 Hubert Herr characterizes this attitude like almost no other company: From the movement to the carvings, all of the parts of the Black Forest clocks are almost exclusively made in the local workshop by experienced employees, putting this clock factory in a position to guarantee the quality of its clocks in good conscience. 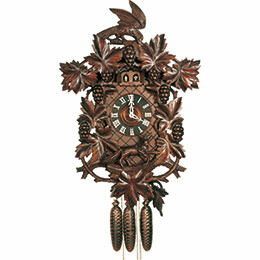 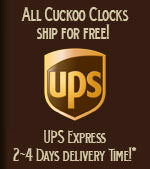 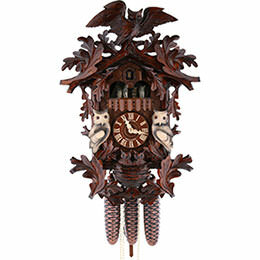 This traditional firm already began to produce carvings for cuckoo clocks in the 19th century. 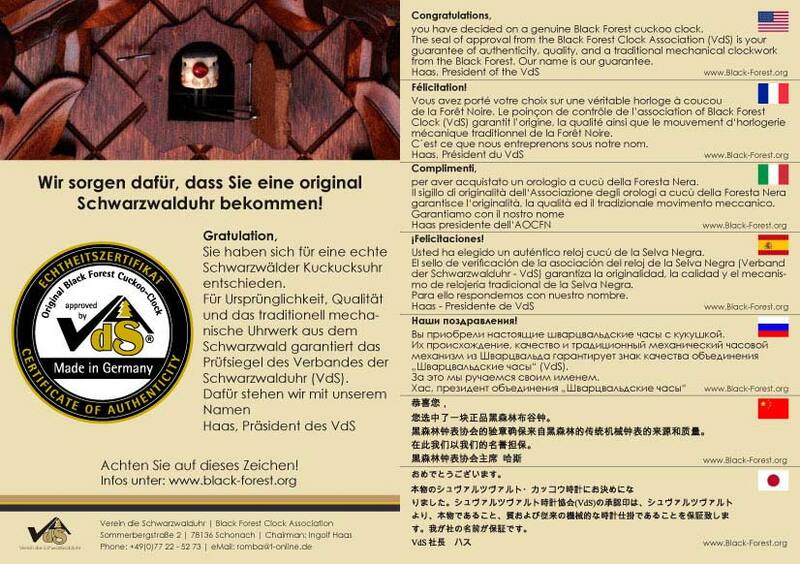 From their initial beginnings in an old farmhouse to the official founding of the company by Hubert Herr and continuing through today's management by Klaus, Reinhard and Hugo Herr, Hubert Herr's clock factory is still firmly in the family's hands, now in the fifth generation. 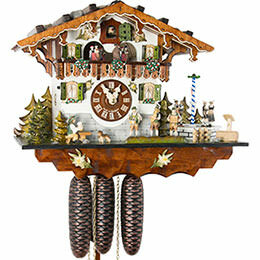 Brothers Andreas and Christian Herr laid the foundation for this family history. 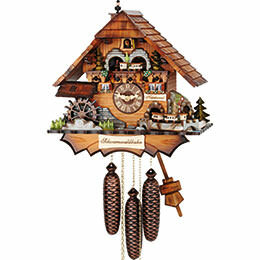 Starting in 1860, near Triberg they produced individual carvings for local clock production. 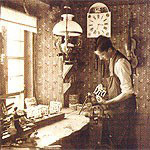 After moving to today's main facility in Hauptstraße in Triberg several decades later, production was expanded bit by bit. 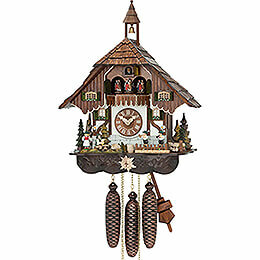 Today, 25 experienced employees from all areas tend to the production of these premium models: Clockmakers, carpenters, wood carvers, metal and wood craftsmen handle the different aspects of building cuckoo clocks day after day. 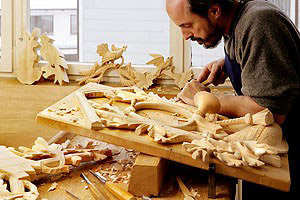 In the choice of materials Hubert Herr Clocks attaches great importance to a connection with its region: wood from domestic spruce, fir and alder trees that grew in altitudes of 400-600 meters offer the highest quality for the production of the case. 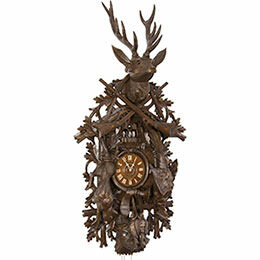 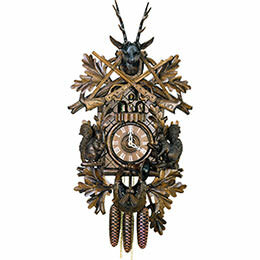 Only the best linden wood from the Black Forest can be considered for the elaborate carvings of Hubert Herr wall clocks. 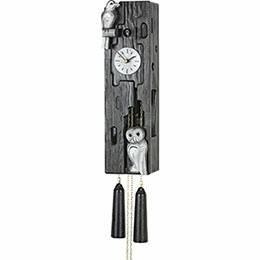 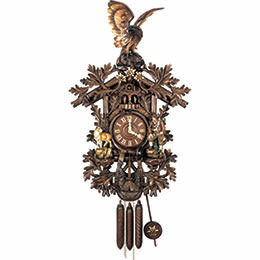 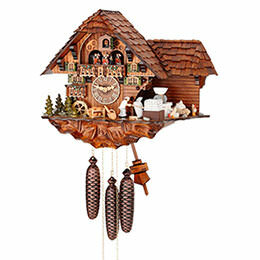 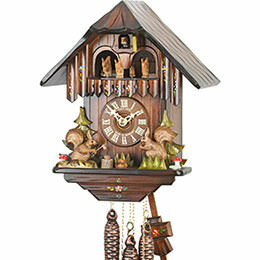 This dedication to the craft of clock-making gives rise to extraordinary cuckoo clocks, whose unique quality and charming design are convincing from top to bottom. 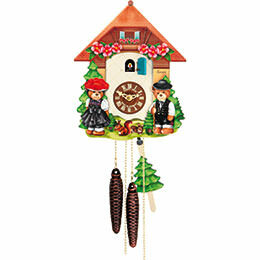 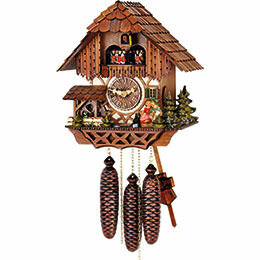 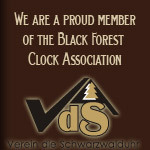 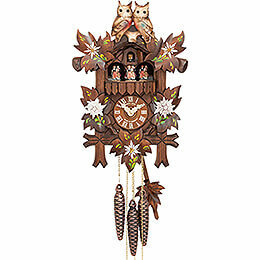 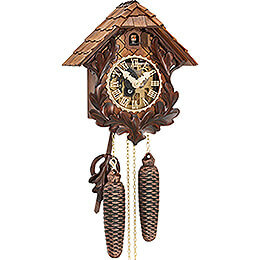 When you hang a Hubert Herr cuckoo clock on your wall, you hang a piece of the Black Forest's local history there.